Workers of the world, unite and sing! A Chinese director is preparing an operatic adaptation of “Das Kapital,” Karl Marx’s treatise on economics, capitalism and the alienation of labor, The Telegraph reported. The opera is planned to open in Shanghai next year. We are living in the end times. -- yup, I agree - end times. Expect a rain of toads at anytime. I thought The Night at the Opera one of their best movies. 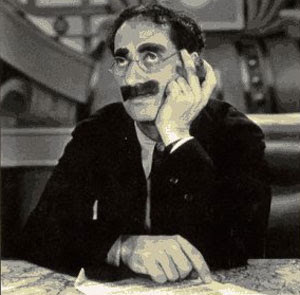 One of my professors once said whenever we are taking like too seriously, we should go watch a Marx Brothers Movie.